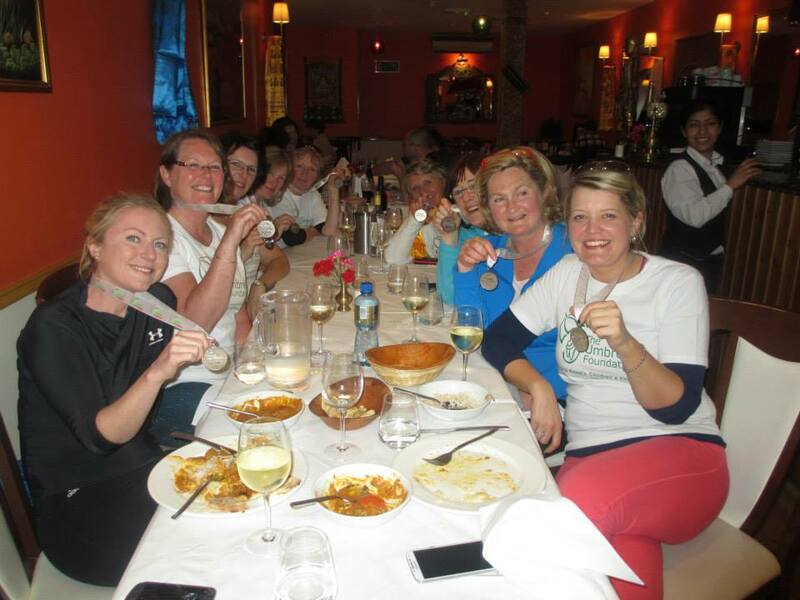 The Dublin Women’s Mini Marathon took place on a glorious afternoon on June 2nd this year. 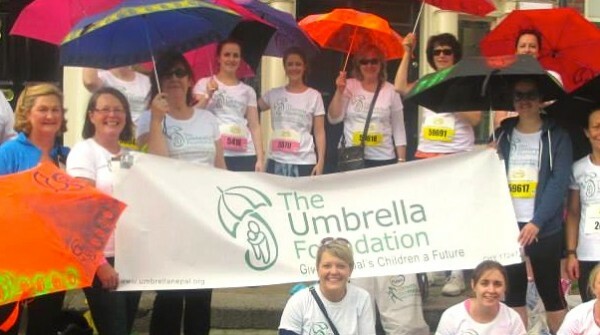 A huge thank you to Ciara for organising the Umbrella MiniMarathoners Team and of course to everyone who took part, fundraised and supported the participants. Pauline and Nicola rocking the Umbrella look! The team certainly turned a few heads on the day with their matching Umbrella uniforms and exclusively customised Umbrellas! Fair play to everyone who managed to complete the whole race carrying the umbrella – no easy task…especially with paint fumes exuding from the fabulous artwork on them! It was a great day out and was topped off with a big group dinner to reward aching limbs and hungry bellies! Again, a big well done to everyone especially: Susan Callan, Lisa-Marie Salley, Hilary Crookes, Nicola Crookes, Jaqueline Quigley, Liz Mullaney, Niamh Cullen, Aine Gallagher, Gaye Ashford, Pauline Quinn, Emma Breen, Bernadette O’Farrell, Trish O’Donoghue, Aine Sweeney, Nicola Stewart, Lisa Simpson, Emer Aherne, Dolores McWeeney, Pauline Moriarty and Mark Smith. Some of the ladies sporting their Nepali topis (hats) – which are tradtionally only worn by men but hey it was a pretty unconventional day! A special shout out must go to Anne Marie Close for fundraising a huge amount through systematic begging and also to Dervilla Ryan for managing to get herself plastered across a few newspapers! Congratulations and HUGE thanks from all the Umbrella team in Ireland and Nepal and especially the kids! Here’s to next year! Umbrella’s Mini Marathon in Kathmandu, dubbed the Kathmandash!